Xilloc is proud to be sponsor of the Amputee Osseointegration Foundation Europe (AOFE)! Every summer the international event “Walk of the World” takes place in Nijmegen The Netherlands. This Walk of the World is a famous walking tour where participants walk 30, 40 or 50 km per day for four consecutive days. 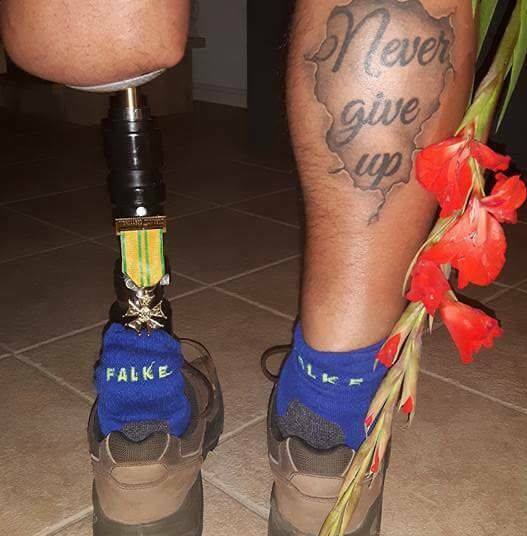 In July 2018, 44.480 participated including three people from the Netherlands with a leg amputation.Normally it is impossible for an amputee to walk this extremely hard four-days walking tour with a leg prosthesis. Barry van Boekel, Pietsje Hannema and Ruud Geldhof accepted the challenge and tried to walk this tour with an implanted osseointegration prosthesis. Only few people in the world use this revolutionary prosthesis that is directly attached to the bone of their residual limb. Normally leg prostheses are attached to the human body with a socket that fits around the soft tissue of the stump. A socket causes skin breakdown, pressure ulcers and pain and it is therefore not suitable to walk long distances. A prosthesis directly attached to the bone is a revolution in prosthetics and is called an osseointegration prosthesis. It prevents against skin problems and pain and enables amputees to walk much longer and further. Barry, Pietsje and Ruud received their implanted osseointegration prosthesis between 2010 and 2015. Now they participate in this walking tour to show the world whether it is possible to walk daily distances of 30 to 40 km for four consecutive days.